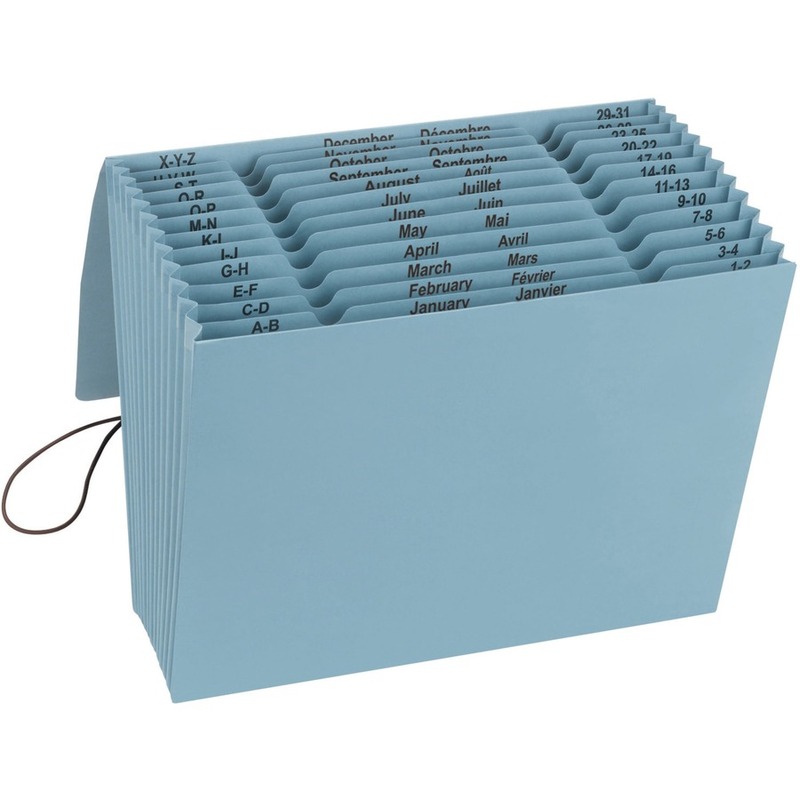 Perfect for on-the-go or desktop filing, 12-pocket expanding file offers three ways to index: alphabetic with A-Z, monthly from January to December and daily with pockets labeled 1 to 31. 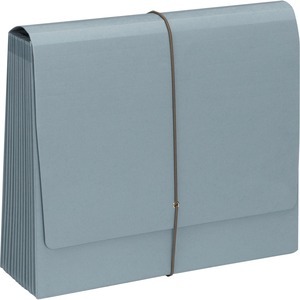 Elastic cord and flap provide security for your important documents. Top of gusset features poly tape reinforcement. Expanding file contains a high percentage of recycled material.